As I sat in my MOPS group this morning listening to a Children’s Librarian speak on early childhood literacy, I realized that it’s been a while since I posted about children’s books we’re enjoying. My oldest daughter is 5 and my son is 3 and we have had a lot of fun reading over the summer. We were kind of slackers on actually going into the library and getting our Summer Reading prizes, but we did manage to finish two days before the deadline. Newborns and libraries are sometimes a great combination…and sometimes not. But our two-month-old Violet is a little more predictable now, so we’re trying to get back in the swing of weekly library trips. The Princess and the Dragon, by Audrey Wood: A fun story about a princess who is dragonly and a dragon who is princessly. Isaac always picks books with dragons if he can find them. He wants to be a knight when he grows up. 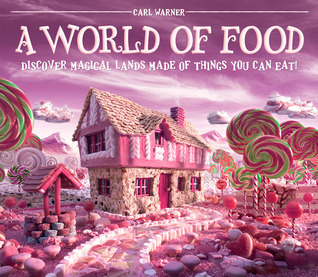 A World of Food: Discover Magical Lands Made of Things You Can Eat!, by Carl Warner: This book is so gorgeously fun. My artistic 5-year-old loves it. I like that it introduces new foods we can try, too, and that the poem that goes along with the pictures is actually quite lyrical. 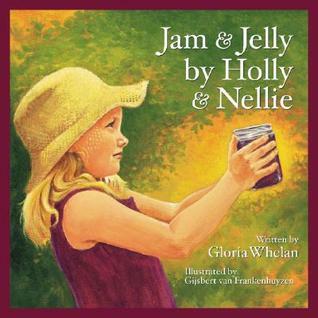 Jam and Jelly by Holly and Nelly, by Gloria Whelan: Poetic and pretty, this book tells the story of a girl and her mother living in rural Michigan. Holly’s mother Nellie is set on Holly not missing school on account of no coat or boats for cold days. 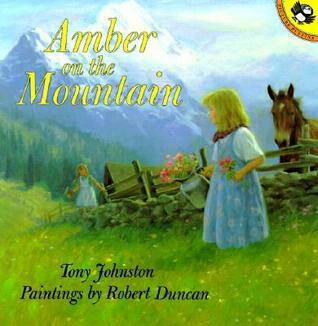 She and Holly spend the summer gathering berries, and Holly finds out how hard work can turn into something valuable. I think it’s great that Holly ends the story by saying her summer memories are what keep her warmest, showing that there was value in the work itself, too. And I love how my daughter says, “A red pepper ant stuck his needle in me” when she gets an ant bite now. The imagery in this book is vivid and nostalgic for anyone who has spent a summer day outdoors in the woods. I could write all day about children’s books, but I’ll leave it at four for today. I’m thinking of starting a Favorite Friday series, in which the blog will feature our favorite children’s books of the week. Also, October is coming up, and last year that meant a 31 Days of Children’s Book Series. I won’t be committing to blog every day for a month this year because I can hardly post once a week right now! But if you want to re-read some posts, click here. Next post Welcome to Friday Favorites!